Would you like to find out what foods are contributing to your symptoms and making you feel unwell? 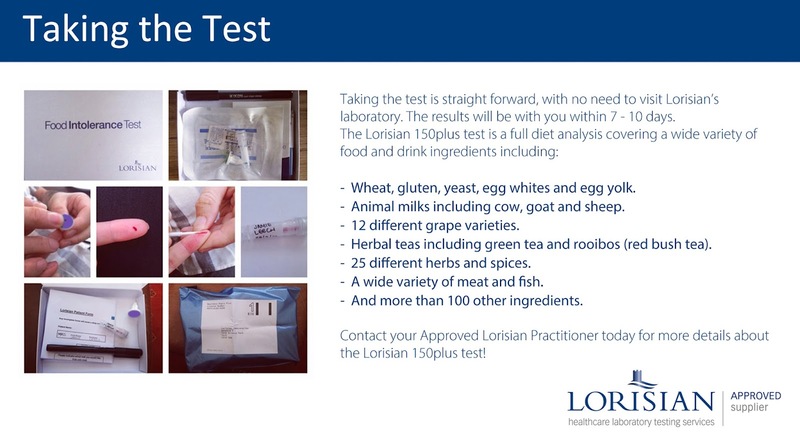 Lorisian Food Intolerance Tests analyse your blood sample for food specific IgG antibody reactions. You will discover the foods you are reacting to which you can then eliminate or reduce in your diet. Lorisian has over 30 years of experience in the field of diagnostic testing. You can carry out the test in your own home if you wish or you can have it done when you visit Debi for your initial consultation. Debi is an approved Lorisian test provider. Your initial consultation with Debi is £30 and a detailed history will be taken and help provided in choosing the correct test for your specific circumstances. She will also advise you on other changes you can make and alternative therapies that may help you if you decide not to proceed with the test itself. Please note if you decide to take a test then the £30 consultation fee will be waived. Undecided? Call Debi on 077 2960 0085 for a free no obligation chat to see if this is something that would be beneficial for you. Remember that the test fee includes your initial consultation fee and a follow up results consultation. Your results will be back within 10 days and Debi will then contact you to discuss the findings and provide you with the report from Lorisian. If you are intolerant to certain foods Debi will help you make choices so that you can replace them with suitable alternatives. The results consultation lasts approximately half an hour and is provided free of charge. It can be carried out on the phone if you wish, with your results posted to your home address. Please note this entire service can be provided remotely for you via telephone or web if you live too far away to attend a consultation in person. It is recommended then that you have 2-3 follow up consultations with Debi over the next 3-6 months in order to monitor how you are feeling and how you are coping with the change to your diet. These consultations are £30 per hour. 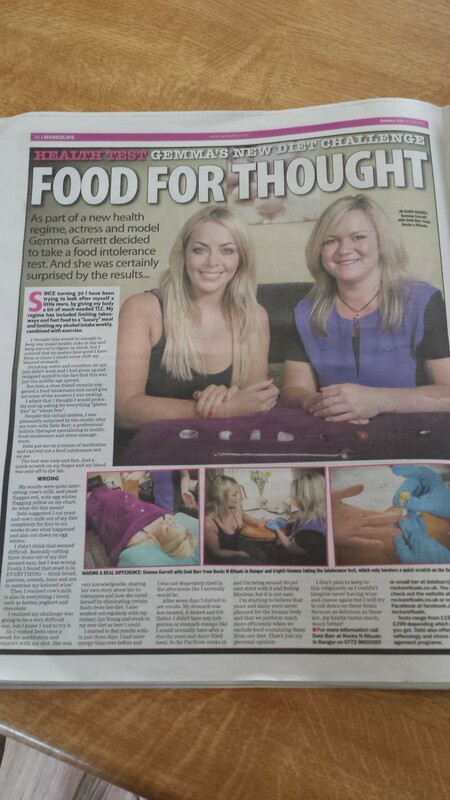 During these consultations Debi will help you if you have any problems with your new diet, she will provide support and guidance to help you regain your health and will suggest ways of re-balancing your gut health with the hope that you can then start to re-introduce some of the foods slowly in order to see if your intolerance has subsided. The test is quick and pretty painless (just a little pin prick to the finger for a drop of blood) and it could help you identify the foods that are making you ill. You don't have to suffer your symptoms any longer - take a test and take back control. For more information or to book a consultation please contact Debi.